Catamaran for all on Lake Annecy! 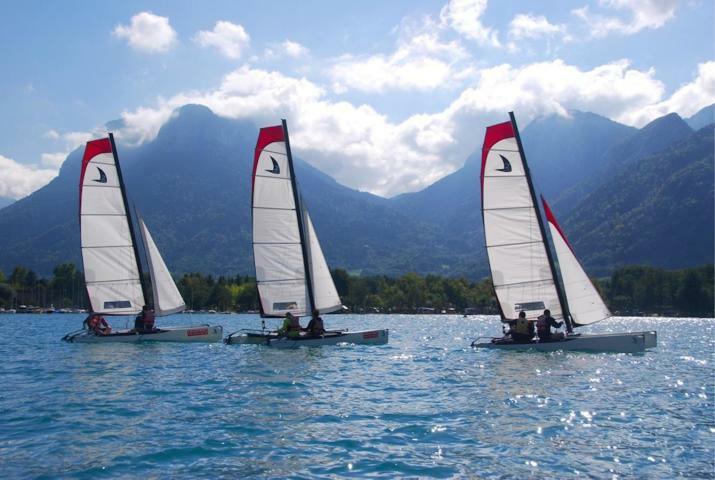 Come be initiated to sailing in serenity on this turquoise lake surrounded by beautiful mountains. 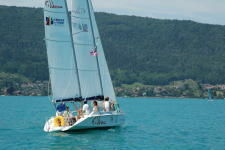 Our instructors’ team would be delighted to bring you experience an unforgettable sailing moment! The instructor will guide you with the operation to deal with and will help you finding the sensation of sliding from his motorboat.Preparation and arrangements are done by the instructors.